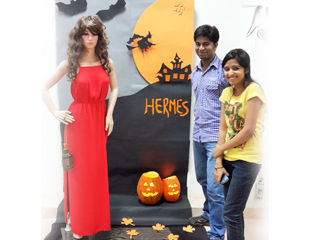 A window display activity was held for PGDM- Retail & Marketing students on 12th September 2014. Students were divided in pairs and were allotted a specific wall panel in the class. Each panel was required to select a product category and a theme from the list provided to them. 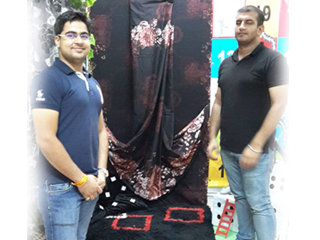 Students selected product categories like women's wear, men's wear, bags, footwear, home furnishings etc. Themes selected were Halloween, Retro, 2050, Snakes & Ladders to name a few. 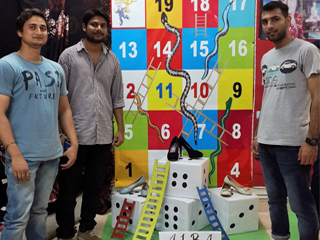 They were required to create a display in the area of 6' (Length)*4'(Width)* 4' Depth) with a budget not exceeding Rs.1500. 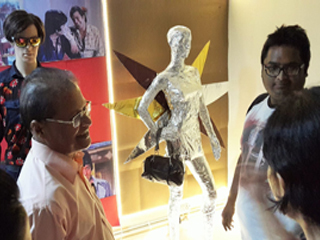 Students came with innovative ideas and sourced material within the budget. Students learned the concept of display settings, challenges of setting up a display, space utilization, lighting concepts and importance of neatness in a display. The work of of students was much appreciated by respected Dr. J.K Goyal (Director- JIMS), Dr. Ashok Bhagat (Dean- IB) and Dr. Ritu Bajaj. The activity was planned and mentored by Ms. Surbhi Jain (Head- RM).